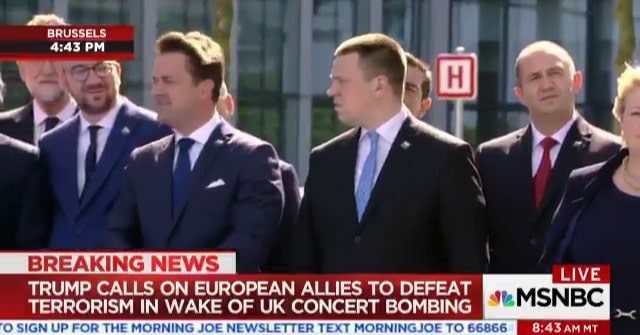 During his address to NATO, Donald Trump repeated his completely false line that the other member countries need to start paying America for protection. The reactions from the audience said it all. Donald Trump has always had a problem understanding the North Atlantic Treaty Organization, the military alliance between North American and European states. And despite backing off his absurd claim the agreement is "obsolete," he still seems unable to grasp the basics of how it works. Which is likely why fellow NATO leaders approached his coming address at the summit in Brussels with apprehension. These grave security concerns are the same reason that I have been very, very direct with Secretary Stoltenberg and members of the alliance in saying that NATO members must finally contribute their fair share and meet their financial obligations. But 23 of the 28 member nations are still not paying what they should be paying, and what they are supposed to be paying, for their defense. This is not fair to the people and taxpayers of the United States. And many of these nations owe massive amounts of money from past years, and not paying in those past years. Over the last eight years, the United States spent more on defense than all other NATO countries combined. If all NATO members had spent just 2 percent of their GDP on defense last year, we would have had another $119 billion for our collective defense and for the financing of additional NATO reserves. We should recognize that with these chronic underpayments and growing threats, even 2 percent of GDP is insufficient to close the gaps in modernizing readiness and the size of forces. We have to make up for the many years lost. 2 percent is the bare minimum for confronting today's very real and very vicious threats. If NATO countries made their full and complete contributions, then NATO would be even stronger than it is today, especially from the threat of terrorism. Trump's claim that our allies are "underpaying" or owe NATO money has been repeatedly debunked. NATO is not some big pool of money into which countries pay dues. Rather, member states agree to fund their own militaries by 2 percent of their GDP by 2024. 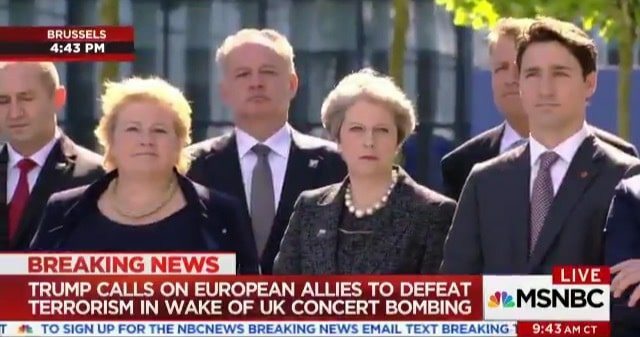 Trump is right that only five members of NATO currently do this, but there is nearly a decade left for the other states to comply. Regardless of whether this target is met, NATO requires that if one member state is attacked and Article V is invoked, all NATO states jump to that nation's defense. Incidentally, the only time this has ever happened was when America was attacked on 9/11. So, NATO has in fact benefitted America more than any other country. 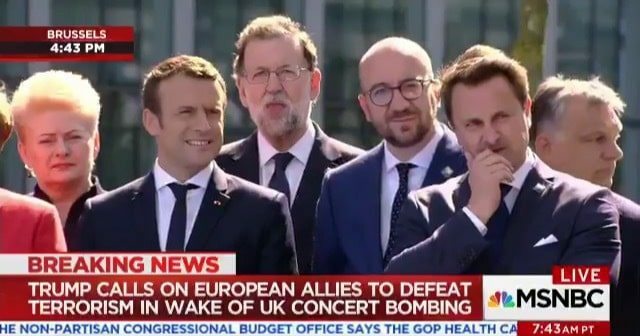 Perhaps the most telling demonstration of the depths of Trump's ignorance was the reactions of other world leaders as he spoke. It is truly fitting that these two artifacts now reside here, so close together, at the new NATO headquarters. And I never asked what the new NATO headquarters cost. I refuse to do that. But it is beautiful. Trump has ushered in an era of American politics in which facts have no meaning. Unfortunately for him, they still matter to the rest of the world, and to our allies.